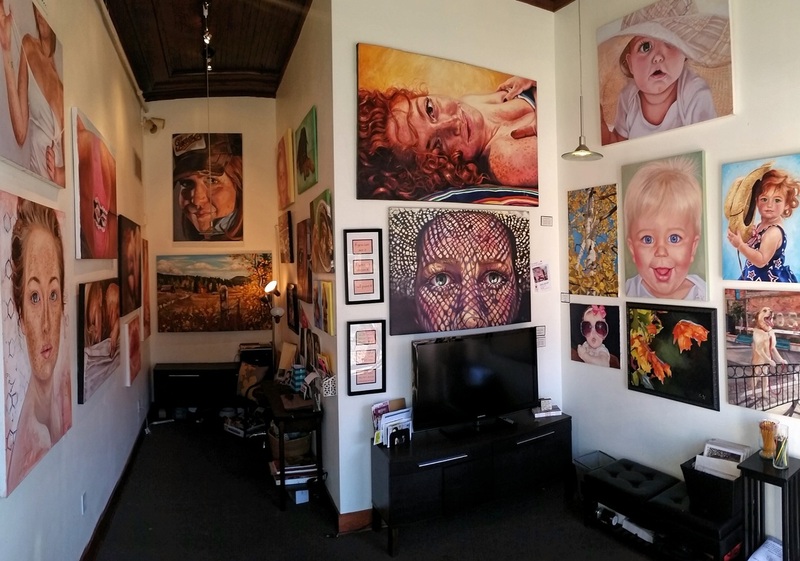 Located in the heart of Old Town Square Fort Collins, Coco Artist Studio can not be missed. 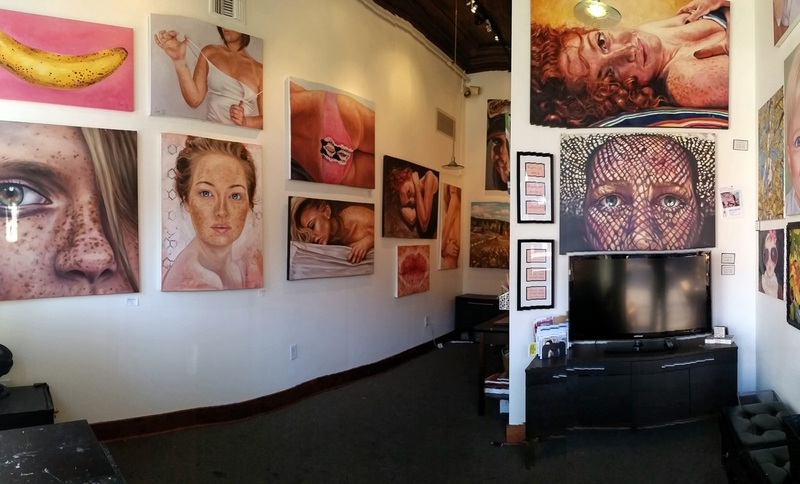 Featuring fifteen feet heigh walls the studio is spacious and able to house large scale paintings. Being on ground level with large west facing windows the studio offers fantastic 24/7 exposure to all the foot traffic. Summer concerts and all the festivals Fort Collins offers are feet away from the studio's front door.